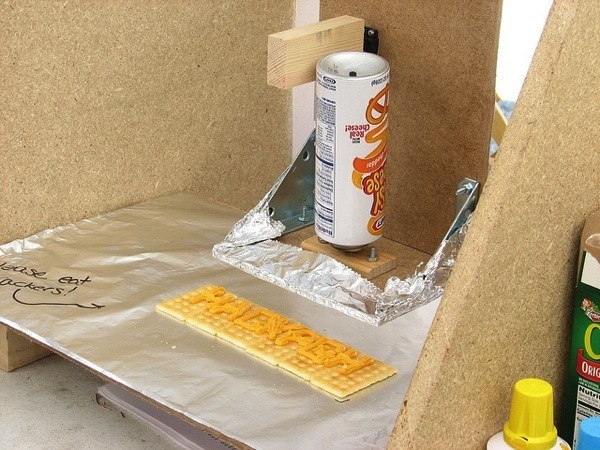 #3DxKitchen – Matt Stultz’s Mini Maker Faire Cheese Printer #3DThursday #3DPrinting « Adafruit Industries – Makers, hackers, artists, designers and engineers! Though most of the project documentation is lost, Lenore from Evil Mad Scientist grabbed the above photo of an edible HackPGH cracker from when the project launched at the Pittsburgh Mini Maker Faire, lined up in traditional hackerspace gourmet style, with a custom sous-vide rig, and very possibly with a suspicious canister of Open Maté near at hand. This weekend the fun comes to Pittsburgh! The first Pittsburgh’s Mini Maker Faire is this Sunday, October 23, Noon-6pm at The Children’s Museum. The event might be called mini but they have a mighty line up of makers who will be showing off their projects and offering workshops. You can check out the entire list of makers here. Cheese Printer – Matt Stultz, one of the co-founders of HackPGH will be there demonstrating the cheese printer. Ed. Note: Thanks to Chris for catching my typo! Matt Stultz is one helluva hacker. He comes up with the coolest stuff. One correction though, its HackPGH as in Pittsburgh.